You’ve found your theme, you’ve sculpted your characters and honed your voice. You’ve put pen to paper and structured, and crafted your story into something that you want to share with an agent or a publisher! The next big step is getting it noticed. One top tip for getting your picture book picked up by an editor is to . . .
And this is where the hook comes in. 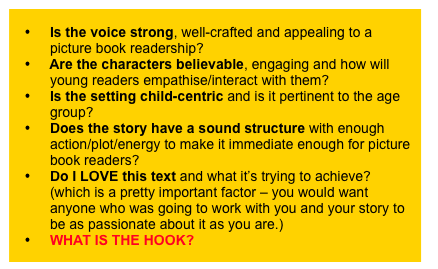 A hook is a one-line sales pitch that encapsulates the essence of your story and ‘hooks’ any potential editors, publishers, managing directors, booksellers, picture book buyers and picture book readers. If your story has a strong hook, then the editor will know right away how to pitch the story and won’t be left thinking, “nice story, but so what . . . ?” He or she will immediately know why and how your story is DIFFERENT from everything else that is out there in the marketplace. This is what the publisher and sales people will be asking them in turn. 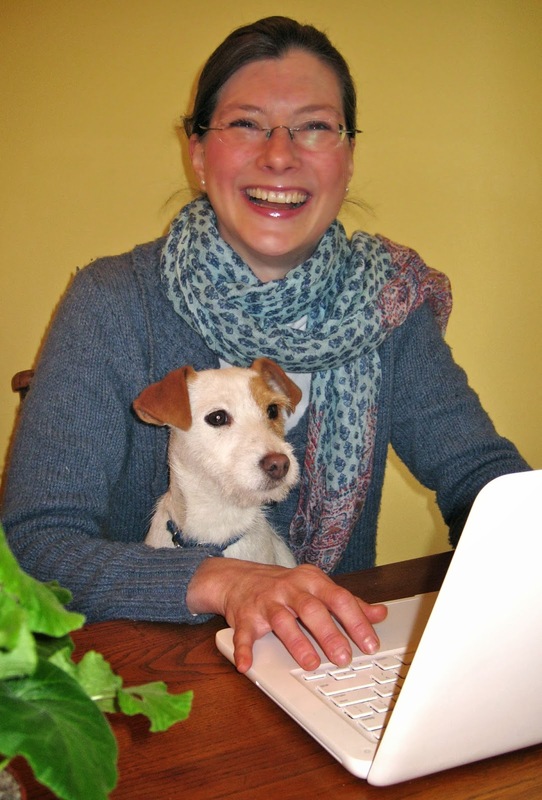 It’s not enough for the editor to love a book – it has to sell! If you can pin-point the hook of your text and write it at the top of your covering letter, then you’ve gone part of the way to ‘selling’ your text to your prospective editor. A rollicking rhyming adventure tale starring Vikings, dragons and . . . dragon poo! An innovative lift-the-flap book – perfect for little hands – about finding the perfect pet. An action-packed twist on a familiar theme, featuring unexpected holiday locations and pirates! A reassuring bedtime story – with knights and dragons – about overcoming prejudice and becoming friends. A warm and original picture book that celebrates dads (especially the grumpy ones!). A fantastically funny tale about being greedy and understanding the value of things and people. A wonderfully wicked tale about making friends and learning to say sorry. b) helped them start their sales pitch to their team! OK – so having your hook helps you get noticed, but what else does it do for you? If you can pin-point your hook at the point when you’re refining your story, it can be a really helpful tool to make sure that your text has the right sense of focus and clarity, and isn’t becoming woolly or deviating too much from your original goal. The best picture books are sharp and succinct with an economy of words. Your one-line hook is becoming too cluttered (and your story premise diluted)! It’s likely that you are trying to cram too many themes into your picture book text. Remember, picture books are short and, to create maximum impact, just one or two closely-interwoven themes (see month one’s discussion!) are enough. In a picture book there is not enough space to explore and develop too many multi-faceted themes and ideas – the most satisfying text will handle one or two really well, and in depth. So always think ‘less is more’. In summary then – what is a hook and why do you need it? • The ‘hook’ is a term that gets used a lot in the industry and is a vitally important element in selling picture books. • It’s helpful to identify your hook, because it should be at the heart of your story. • Having a handle on it helps you to keep focus as you rewrite, refine and edit your story prior to sending it out for submission. You’ve hooked your editor and they LOVE your text . . . what happens next? Brilliant, Thank You Natscha & Ellie and not just for Picture Book writers!